I only added five autographed baseball cards to my collection in January, but they helped me get closer to 900 signed cards for my All-Time Mets autograph project. In addition to my two purchases at MAB Celebrity Services’ “Pinstripe Pandemonium” show on Jan. 24, I got three signed cards through the mail. 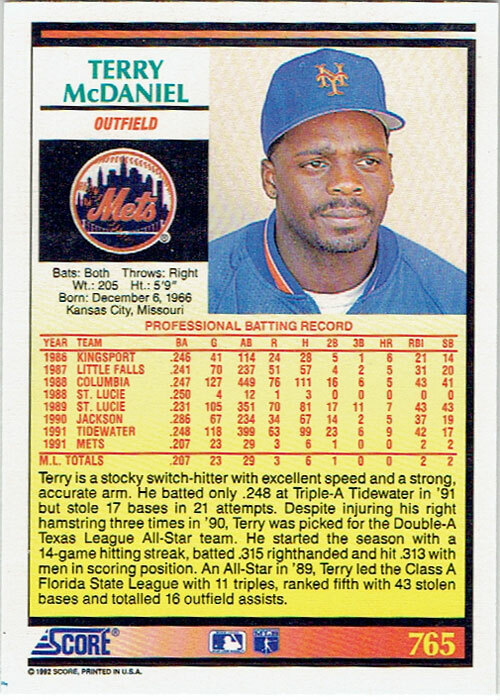 First up we have former outfielder Terry McDaniel, who played in 23 games for the 1991 New York Mets as a late-season call up. Utilized primarily as a pinch hitter, pinch runner and defensive replacement, McDaniel managed only 6 hits in 29 at-bats. That winter, he was selected off waivers from the Mets by the Pittsburgh Pirates, but he never again played in the major leagues. In fact, he only spent one more year in affiliated minor league baseball. 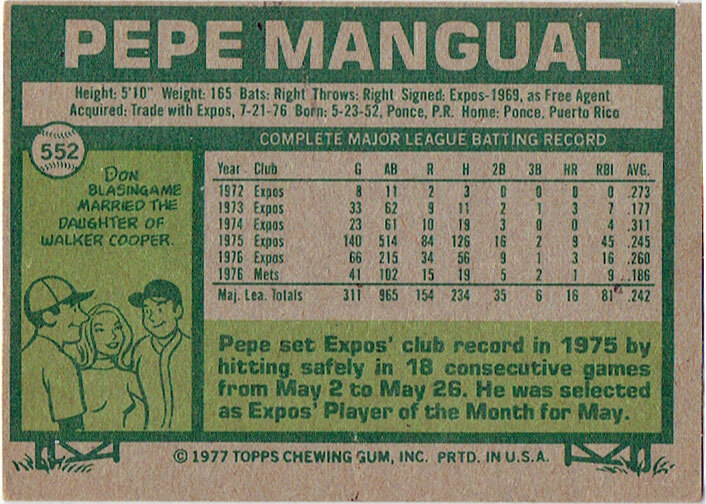 Moving back a little further in time, we have outfielder Pepe Mangual. 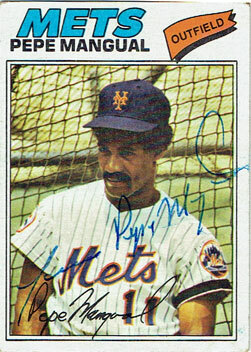 Mangual spent parts of five seasons with the Montreal Expos before coming to the Mets in a 1976 trade for Wayne Garrett and Del Unser. Montreal was the clear winner in that deal – Mangual played in just 49 games for the Mets in 1976 and 1977, hitting .183 (20-for 109) with one home run and 11 RBI. 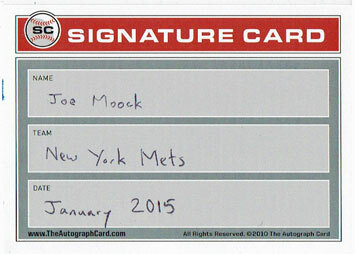 Finally we’ve got third baseman Joe Moock, who played 13 games for the 1967 Mets. He went 9-for-40 to post a .225 lifetime average in the majors. 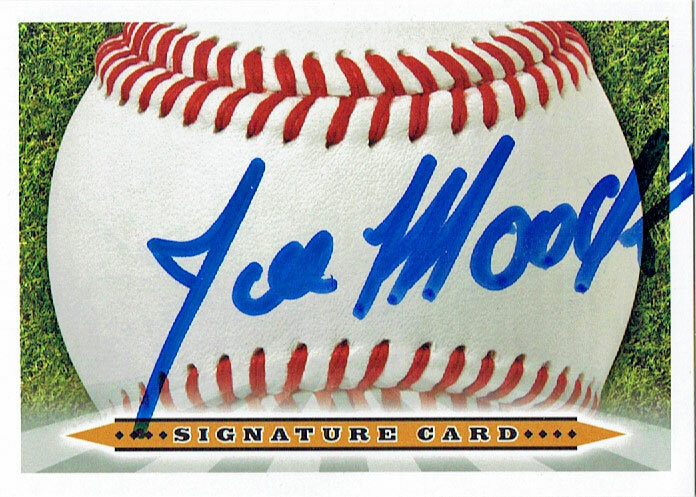 After leaving the Mets organization, Moock spent two years in the minor leagues for the Montreal Expos. He left professional baseball after the 1970 season. 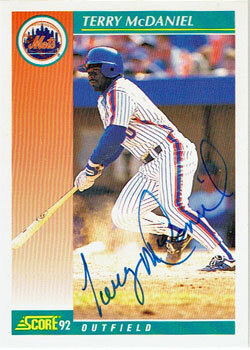 By my last count, I have signed baseball cards for 895 current and former Mets players. Until Opening Day, my wantlist stands at 99 names.